TopQuants is the Dutch networking organisation – by quants for quants. TopQuants aims to bring the quantitative community of the capital markets in the Netherlands closer together. On May 23rd, the next interactive symposium, TopQuants Spring Keynote 2012 will take place. You are cordially invited to join this event. The keynote speaker is Antoon Pelsser, Professor of Finance and Actuarial Science at Maastricht University. To many quants based in the Netherlands, Antoon is known for his contributions to interest rate modelling. His current research interest focuses on insurance. The main part of Antoon’s presentation will be about Model Uncertainty and Pricing in Incomplete Markets. Comments on current topics from rates modelling will constitute the second part of Antoon’s key note speech. TopQuants Spring Keynote 2012 also features a panel discussion aimed to provide a lively and exciting exchange of ideas between the key note speaker, other quantitative financial professionals in the panel, and you, the audience. Panel members include Philippos Papadopoulos, Head of Economic Capital Modelling at RBS, Bruno de Cleen, Head of Integrated Capital and Portfolio Management and Modelling at Rabobank, Theo Kocken, CEO of Cardano Group and Professor of Risk Management at the VU University Amsterdam, and invited ING speaker to be announced in due course. TopQuants Spring Keynote 2012 concludes with drinks and a buffet for all participants. This provides ample opportunity for informal discussions and networking. 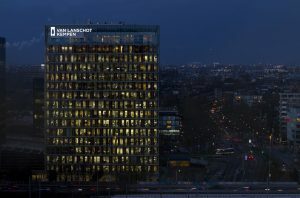 The event is hosted by ING Bank N.V. at their Amsterdam headquarters, Bijlmerplein 888, 1102 MG Amsterdam. Participation is free of charge, but advance registration is required: please complete this form and send it to Registration@TopQuants.nl – deadline for registration is May 15th, 2012. Given the limited amount of seats, please respond as soon as possible.